Leeds United took another sizeable step towards ending their 15 year absence from the Premier League with a 1-0 win over Sheffield Wednesday on Saturday evening. The Whites dominated proceedings in the first-half but found an inspired Kieren Westwood between the sticks as well as a resolute Owls’ back-line. But Marcelo Bielsa’s side finally found a way through in the second half when Pablo Hernandez notched another assist, crossing for Jack Harrison to sweep home a class finish. Despite scoring the winner, the Manchester City loanee’s future remains up in the air with Leeds quite publicly looking to other winger’s to possibly fill his position. 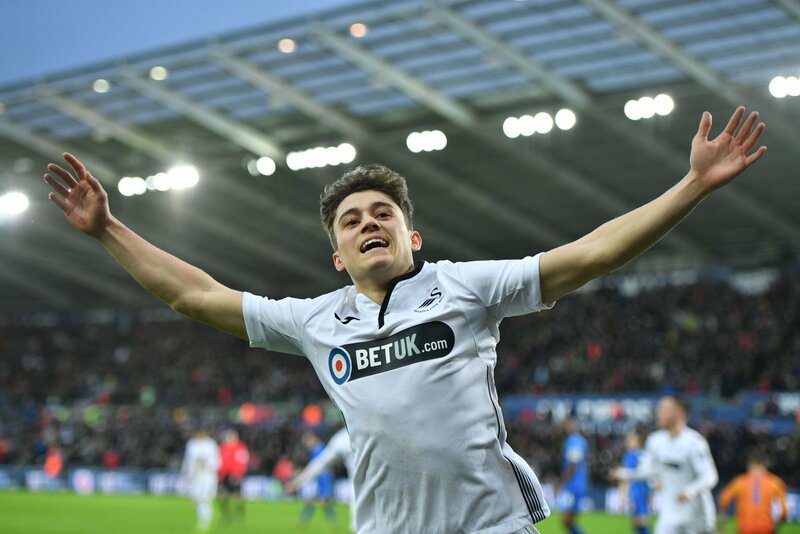 Leeds, now famously, missed out on the signing of Swansea City winger Dan James back in January although they may make another bid for him in the summer. The South Wales club are eager to tie him to a new deal, but former Whites striker Noel Whelan believes there is no chance that he would sign an extension, according to Football Insider. “You would think so wouldn’t you? “James evidently wasn’t happy with Swansea after his move fell through on Deadline Day, and I just can’t see him staying there beyond this season. “He’d be stupid to sign a new deal with the Swans, it shouldn’t even be an option. “He has the power with just over a year left on his deal and the reality is that most Premier League clubs will be looking at him. “It’s hard to see James signing a new deal. “The winger will be determined to take one of the opportunities offered to him by the growing list of clubs reportedly interested in the 21-year-old.